Hello friends, I'm glad you're here! I've been on a 10 day road trip with my family, but am so glad to be back today to share my Summer Home Tour with you. Many thanks to Marty from A Stroll Thru Life for organizing this year's tour. If you're coming from Remodelando la Casa, thanks for hopping over! 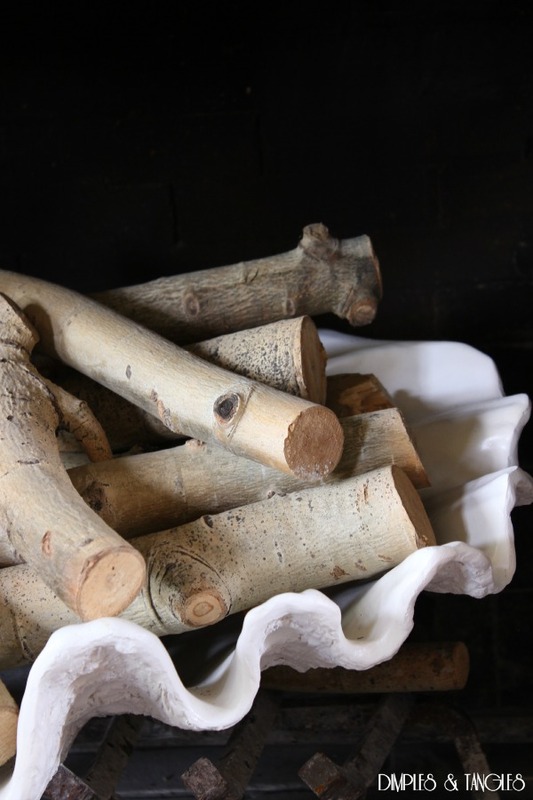 Did you see Cristina's adorable DIY driftwood crab over her mantle? Cute, cute, cute! 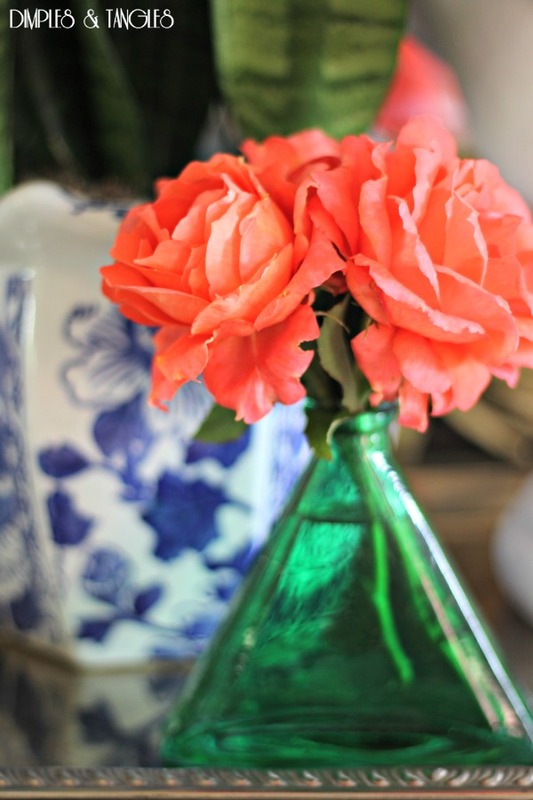 I think two words sum up my summer decor this year... simple and colorful. I used a lot of what I already had, and I'm sure y'all will tire of seeing the same old accessories around my house eventually. I've parted with most things I don't absolutely love, and keep what is out on rotation to keep things interesting. Here's our entry. 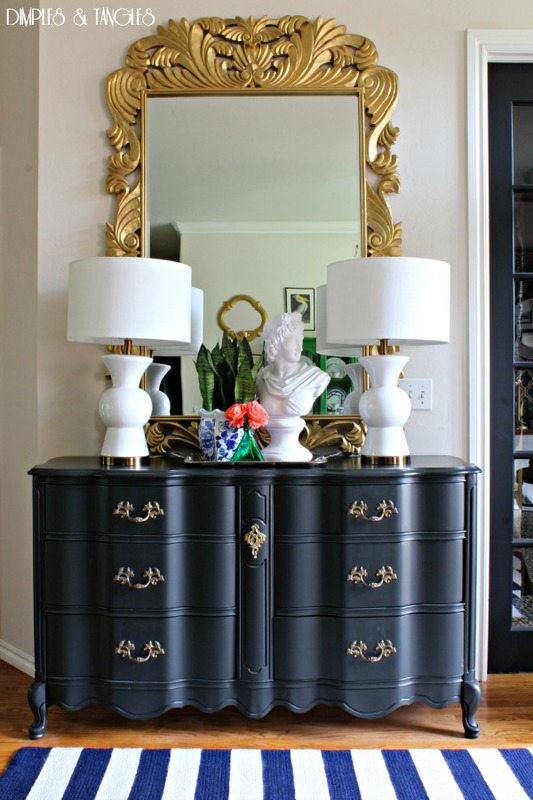 The mirror and dresser were both Craigslist finds that got a makeover. My Mom shared some roses from her garden with me, they smell even better than they look! I'm determined to get some good cutting rosebushes in the ground here one of these days. 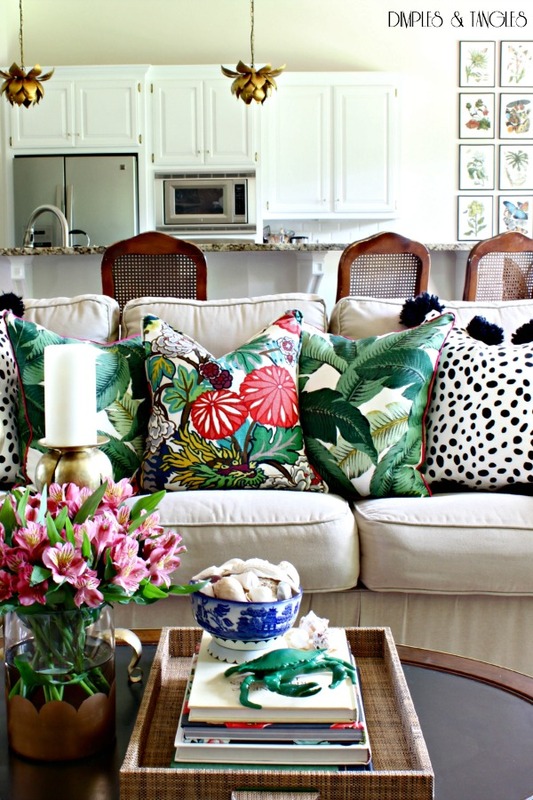 The pillows I shared in my Spring Home Tour are hanging in there, perfect for summer as well. This post is so full of photos, please click over to view the rest of the tour. Thanks so much! A few months ago I shared this curbside find... it finally got it's makeover and I couldn't be happier! I'll share more about it soon. I pulled out the paint and brushes and attempted an abstract to brighten up this corner. I'm no painter, but I started out with this painting as inspiration and it sort-of went from there. I'd love to find an even bigger canvas some day to fill this spot. I love layering trays. 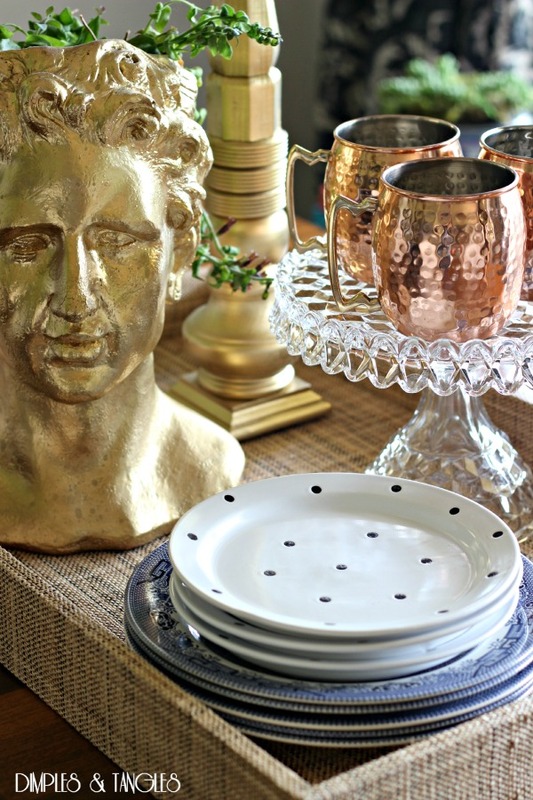 It gives smaller trays more significance while adding an interesting focal point to items on larger trays. 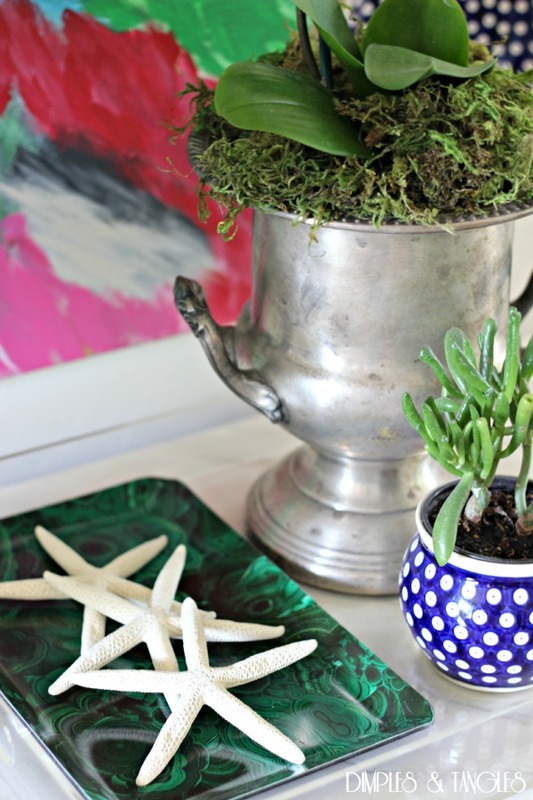 I want to use this Malachite Trinket Tray from Decorum in every single room. It's getting moved around a lot! Love this small business that makes stylish accessories from a wide variety of designer fabrics. I cleaned up and switched around the accessories on the living room built-ins a little bit. There have been a few changes in the Breakfast Nook that you all haven't seen yet, although there have been a few teasers on Instagram! This new chandelier was a recent Craigslist find. Maybe one of my craziest finds ever... we drove 7 hours round trip to get it one day while the kids were in school. I paid the kids 3 cents per crystal to remove all of the crystals (money well spent!) so my brother in law could rewire it for me. After a good cleaning it took a few hours to get it all put back together. It casts the best light and shadows in the room and I love how unique it is. 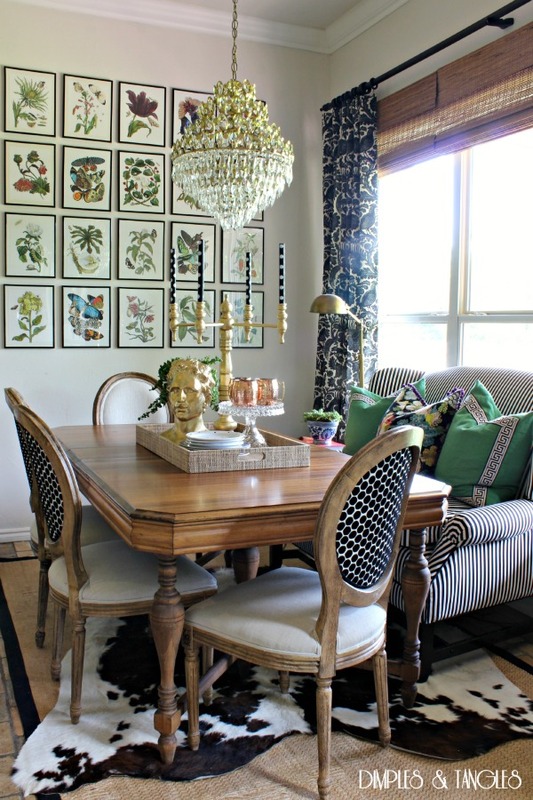 I had the Craigslist settee that I mentioned here reupholstered to sit alongside the table. We love having a seat like this in the kitchen, it's the favorite spot where everyone wants to sit. If you're new here today, I'd love for you to tour the other rooms in our home as well. 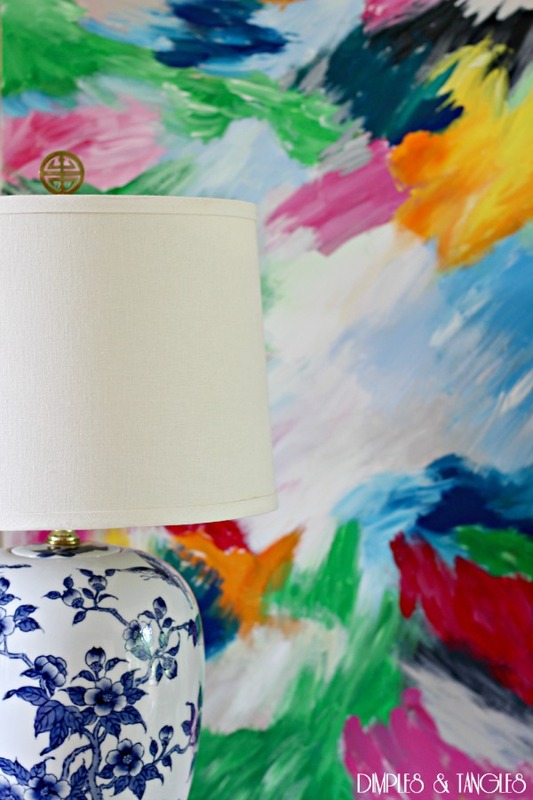 They're full of just as much color and just as many DIY projects! I just completed a huge Master Bedroom Makeover last month, and to be honest, haven't moved or changed one thing in there! I think the color palette is pretty summer-y, though, and it makes me happy every time I walk through the door. 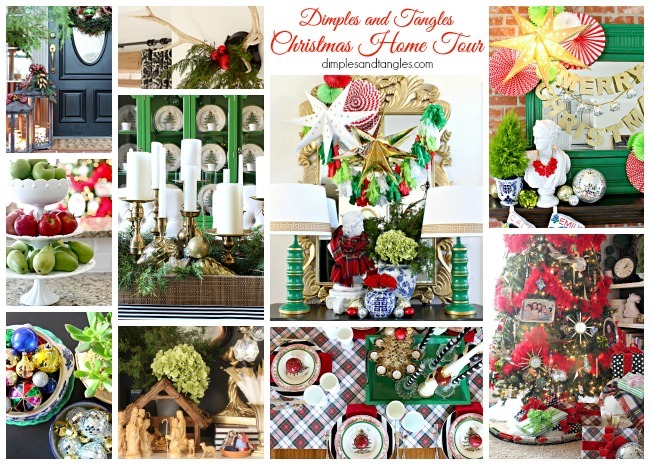 Finally, if you don't think it's too early for some Christmas inspiration, here's my tour from last year. 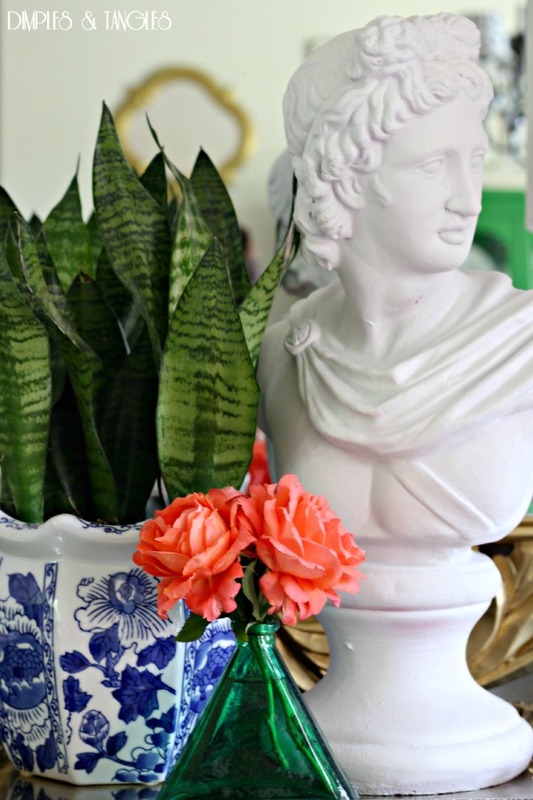 Be sure not to miss any other of the amazing Summer Home Tours this week from 29 other talented bloggers, they are packed full inspiring ideas. And, check in for the last day of tours tomorrow. You'll start with one of my blog besties Pam from Simple Details and continue the tour from there. I can't wait to see all of the tours finishing out the week. Here's the complete schedule if you need to catch up over the weekend! Thanks so much for allowing me to share with you today. If you've enjoyed the tour, I'd love for you to follow along with all of my projects by e-mail, Instagram, Pinterest, Bloglovin', or Facebook! 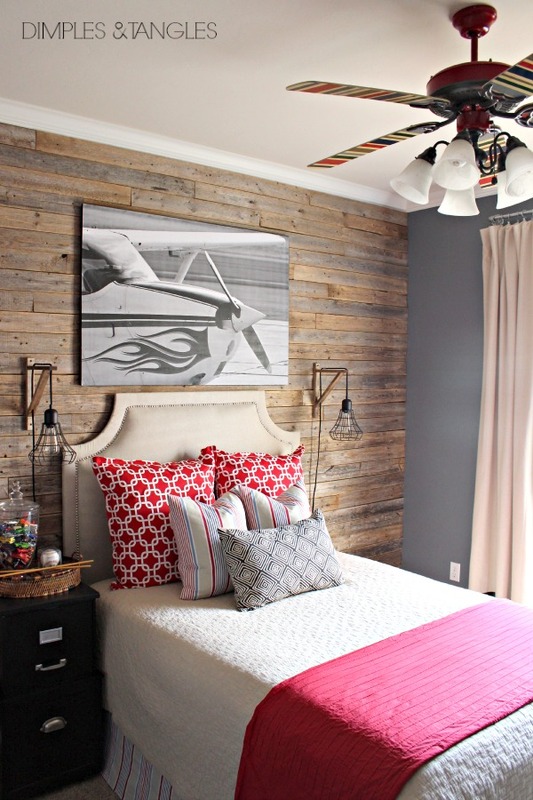 You've got SUCH a gorgeous home Jennifer, so full of colour and personality! I could honestly look through these photos for hours! Great house. LOVE all your color! Enjoy your weekend! 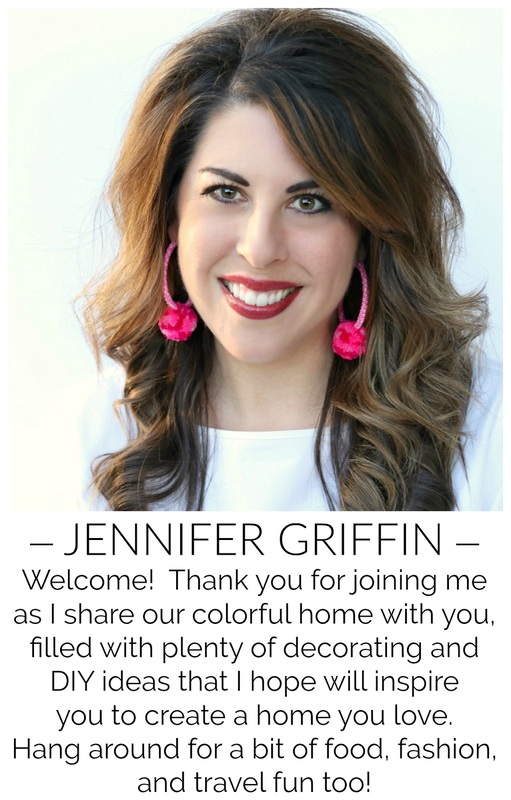 your home is so amazing, jennifer! BHG needs it in their magazine. 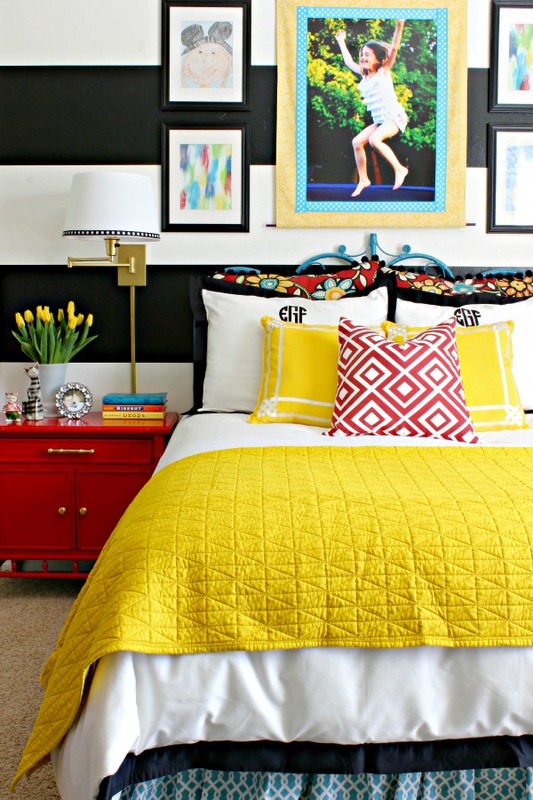 you have a knack for using bold color beautifully. 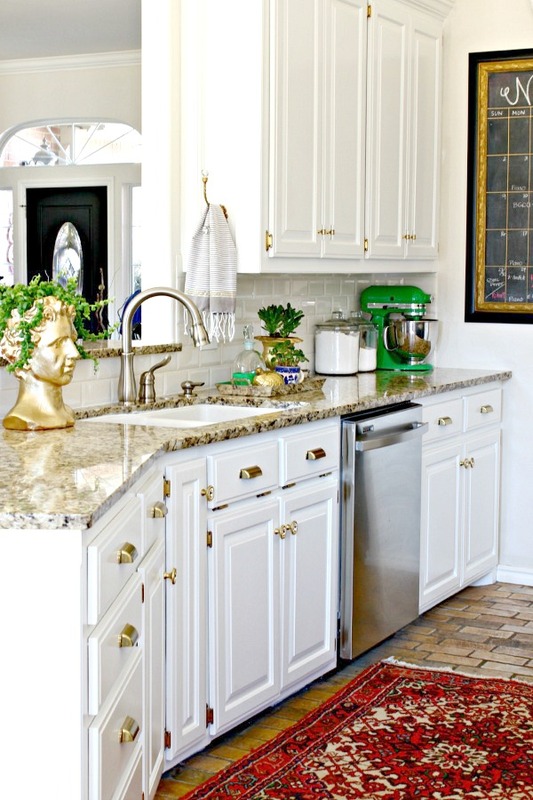 Hi Jennifer, Your home is beautiful and I love that you are not afraid of using color and patterns. So pretty. Hi Jennifer, I'm so glad we got scheduled together for this fun tour series! Your home is beautiful and I love all the color you've infused all around the space. The canvas art you created is wow amazing! 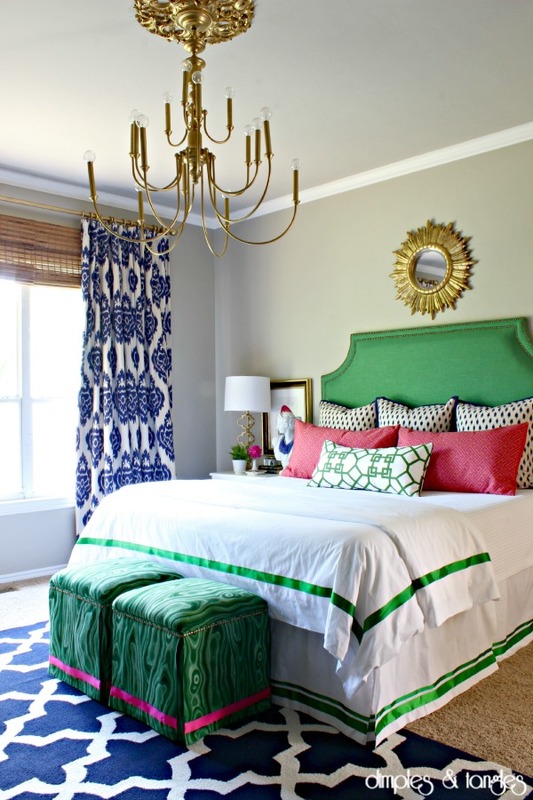 Oh wow, you know I love it all and of course that new chandy and settee are both amazing. I love how you can see the potential in anything. 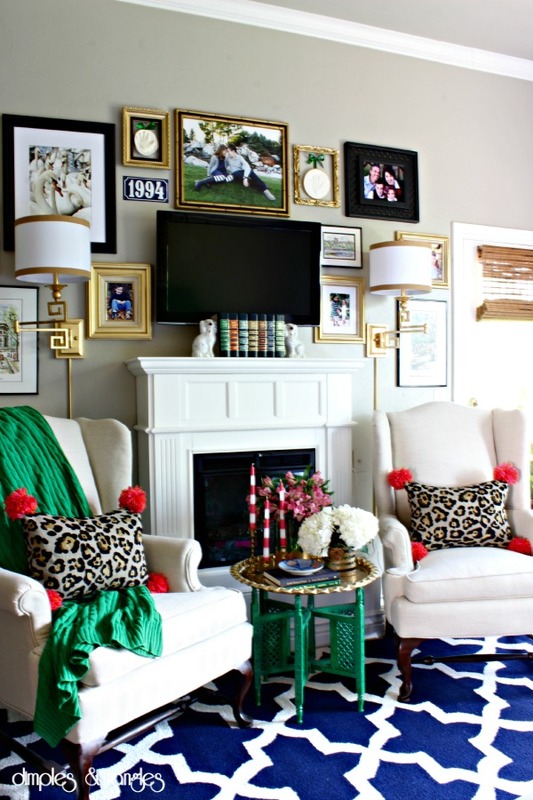 The settee is such a great addition, I would want to sit there too and that chandy is really fabulous. Loved the tour. 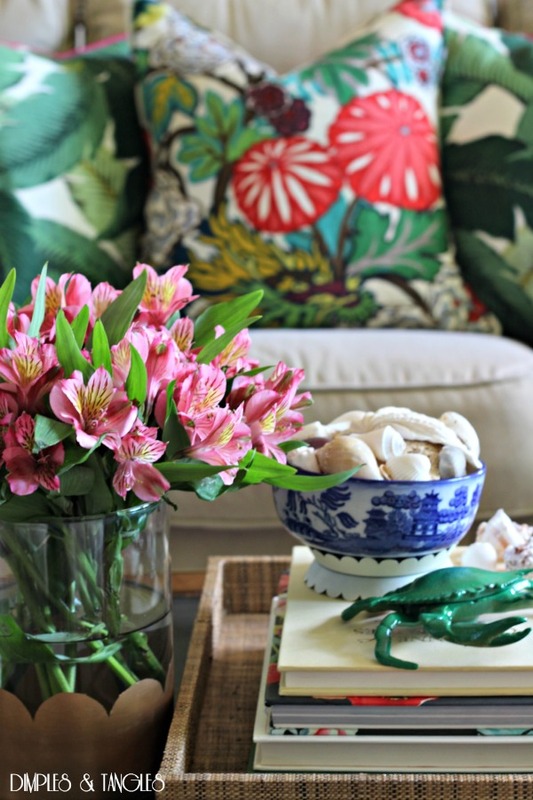 I always love touring your home, no matter what the season - so much colorful fun! 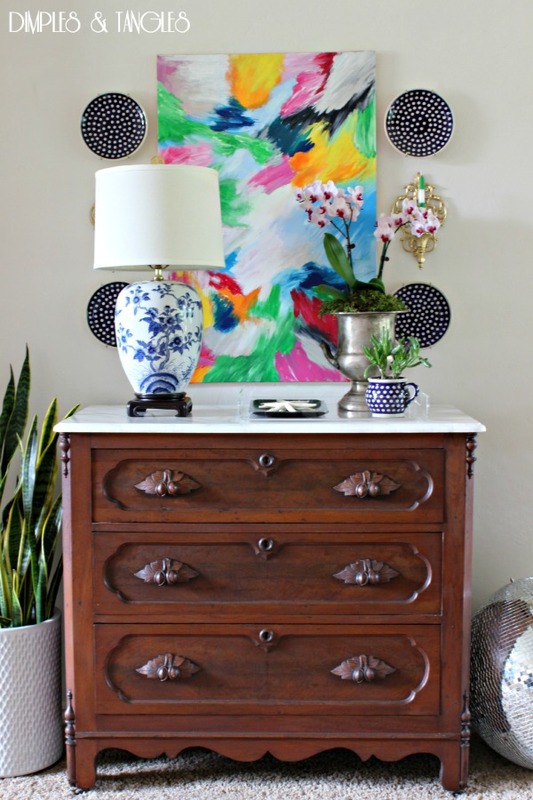 I'm loving your newly made over chest of drawers and the artwork and plates above it - that turned out amazing!!! Looking good Jennifer!! 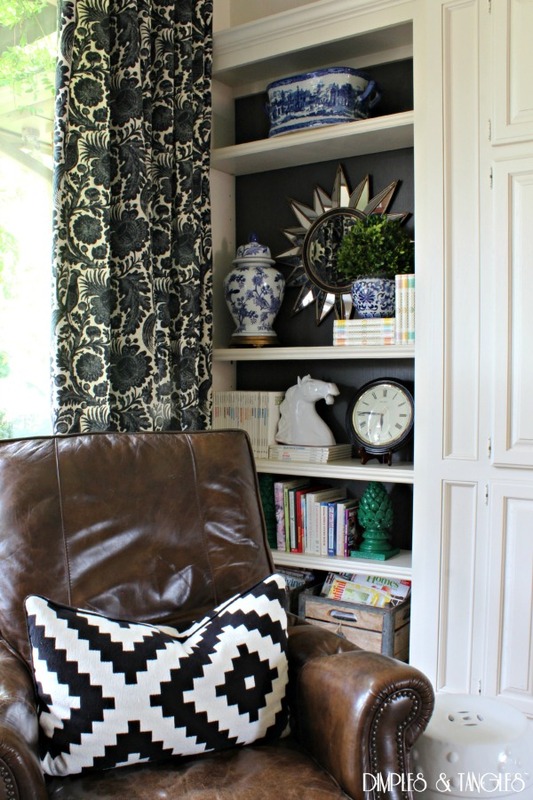 I love the settee and the artwork turned out fabulous!! Oh your home makes me so happy every time I visit. 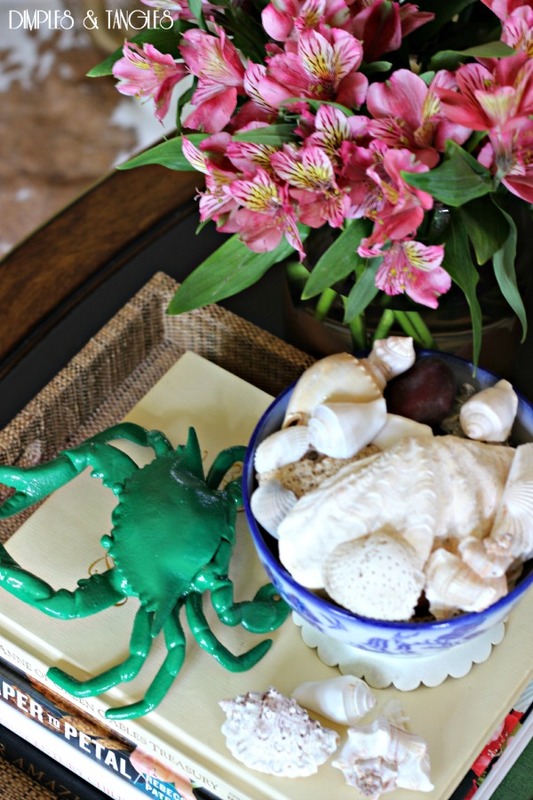 Who knew that I now need a green crab! Thank you for the wonderful grand tour. Thank you Julia, I'm working to get pretty, unique lighting switched out throughout the house. 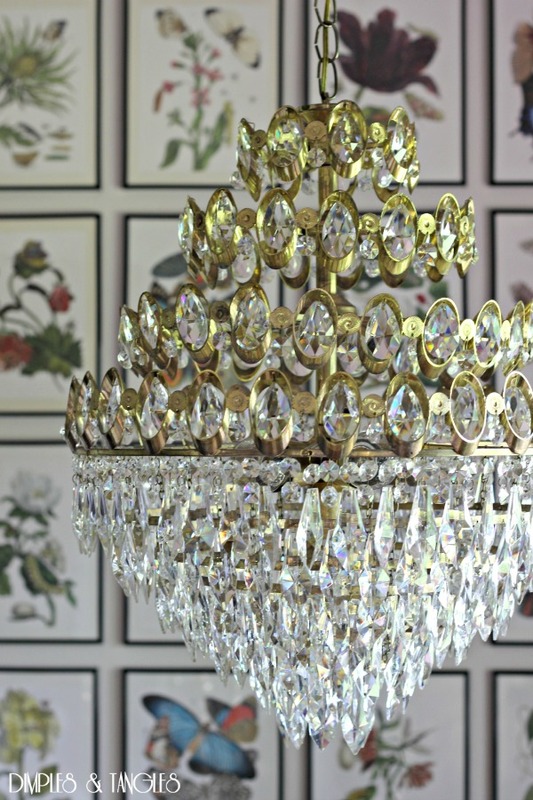 So in love with vintage crystal chandeliers right now! Kristi, you're so sweet! Thanks for touring today! Thank you Katie, you too! Me too, Cristina! I've really enjoyed this tour series and finding some new friends. So glad you stopped by! Thank you Marty! And, I truly appreciate the invitation to join the tour this week. It's been wonderful and I've found several new-to-me blogs! Thanks Kris! That's my favorite little corner right now. I'm still shocked that someone THREW THAT OUT!!! Yes, EVERYONE needs a green crab!! ;) Thanks Laura. Ugh, we can't recoup from the Cali time change! Sleeping in too late still... Thanks Kristin, hope your summer is off to a really fun start too! I never tire touring your house. I'm in love with all the bright colors. Do you want to come live with me a while and work your magic LOL! Your house looks gorgeous! 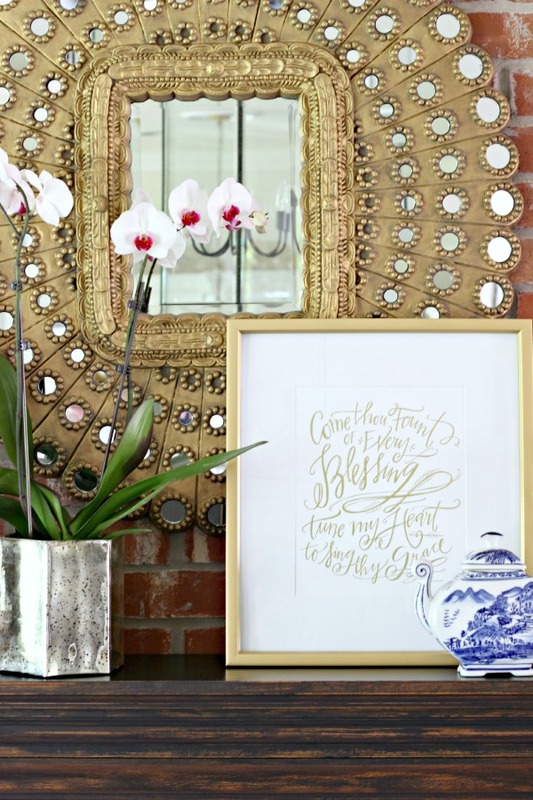 Your artwork looks so pretty and the chandelier…perfect! 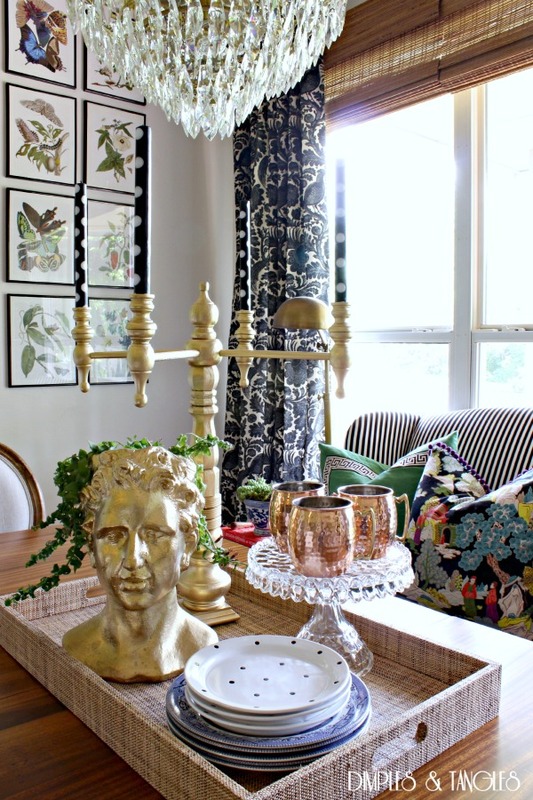 I love the warmth, originality, color and just "feel" of your home! 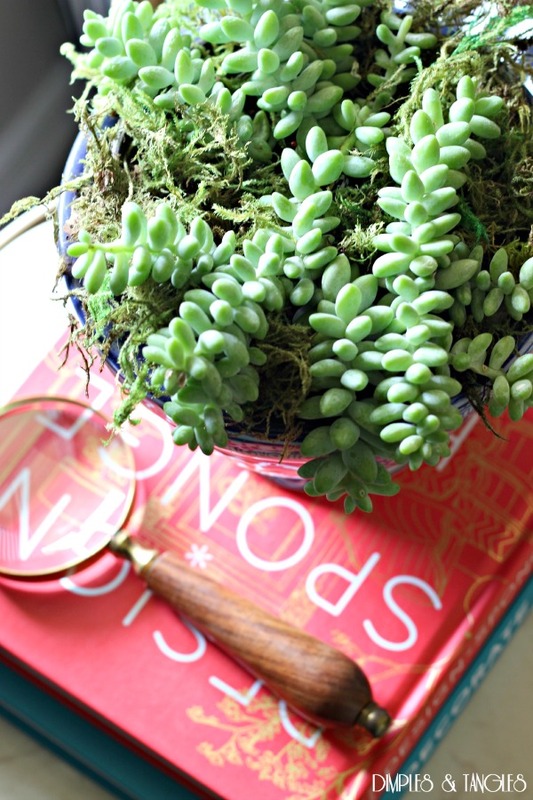 I love how you repurpose things too! Where did you get your bamboo shades? Also, I still can't believe that buffet/dresser was a freebie on the curb.....amazing. I have one almost like it that I bought from an estate sale years ago....they are almost twins! Happy Summer! Hope you enjoyed San Diego (I sent you an email of suggestions). Take care. Stunning, stunning, stunning!!! As always! Love the white lamps in the entry (new right?) I've seen those at HG ;) Love it all Jennifer! I have that same little crab, but it's not a door knocker, it's actually a vintage ashtray from the 50s/60s/70s. :) I use mine as a paper weight. My bad, yours has screw holes. How funny! Mine is actually a vintage ashtray, but looks just like yours minus the screw holes. ha! Oh my goodness, I'm in love with your beautiful new additions! 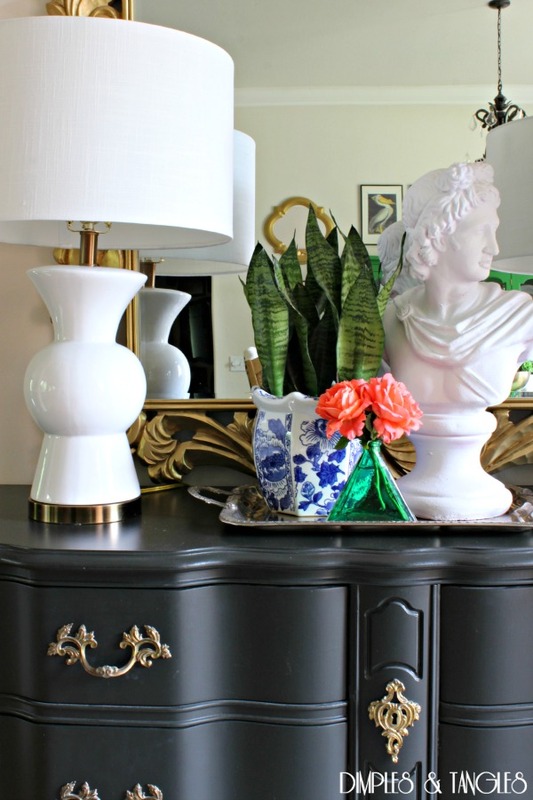 What aweseome finds - the dresser with your abstract turned out fabulous and the chandy and settee - SO pretty! As always, such a fun tour! Colourful indeed! Very pretty and interesting as well. 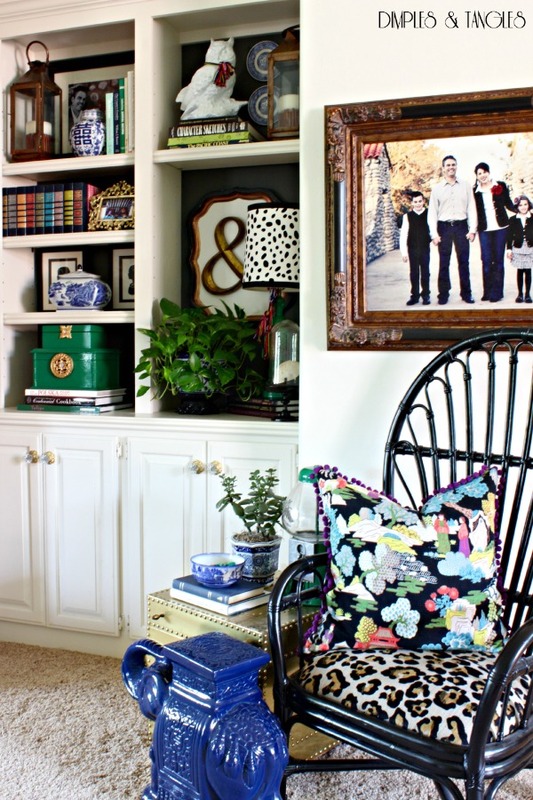 Love that bench and chairs in your breakfast nook. 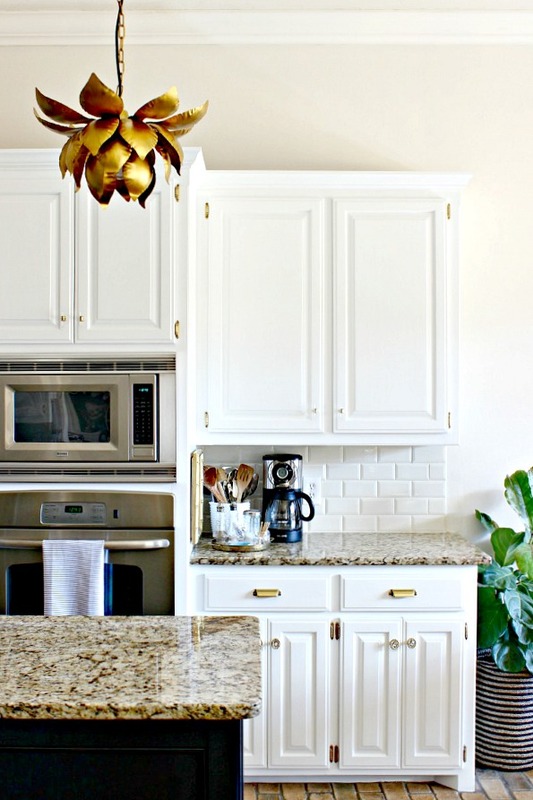 It really takes a simple space and gives it a comfy but elegant look. Thanks for the tour! 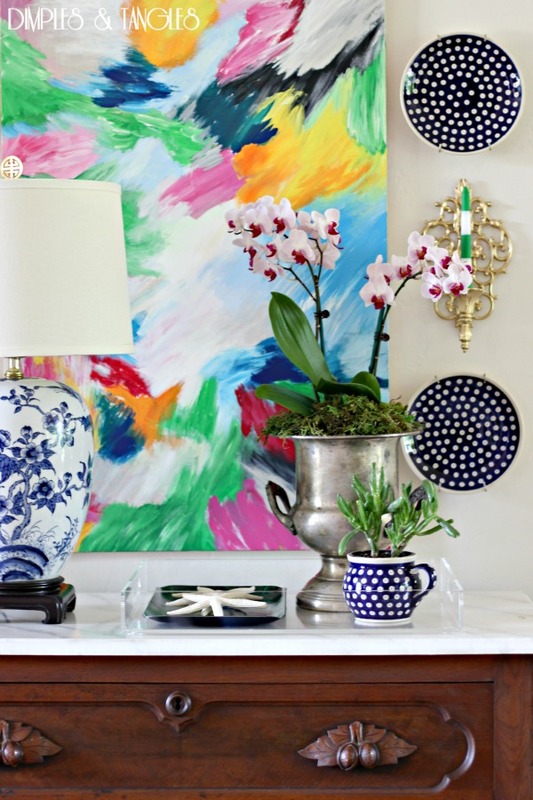 I am truly inspired every time I see your gorgeous home full of life and color. I just know we'd be great friends by the attitude you take toward decorating... 7 hour drive to get that chandelier? Lol. Amazing... and way to go to your sweet (and penny saving) kids for helping take it apart so you could have it rewired! Jennifer I love your abstract painting! 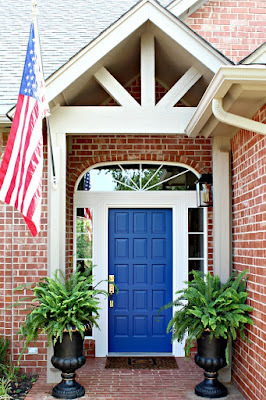 Your home definitely lends itself to bright and happy summer colors, so pretty and interesting! I love the way you use color -- my kind of woman! 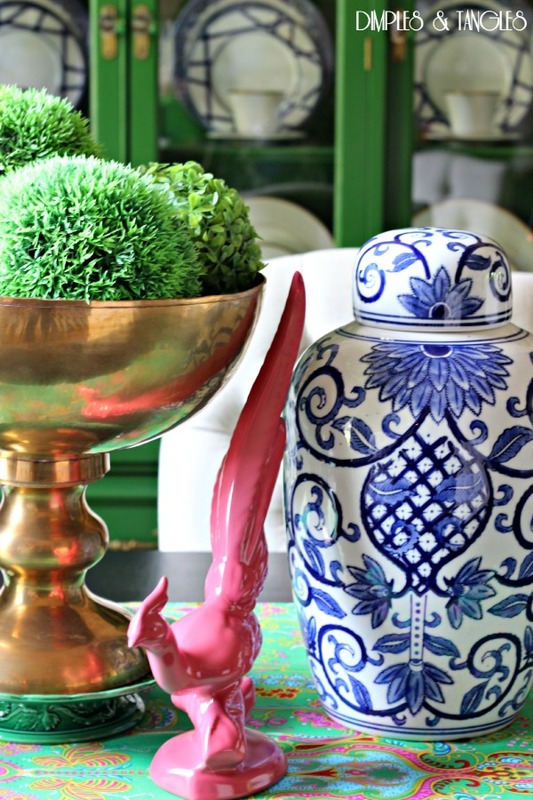 I love all the use of colour in your home! Very inspiring! Jennifer your home looks beautiful as always!! 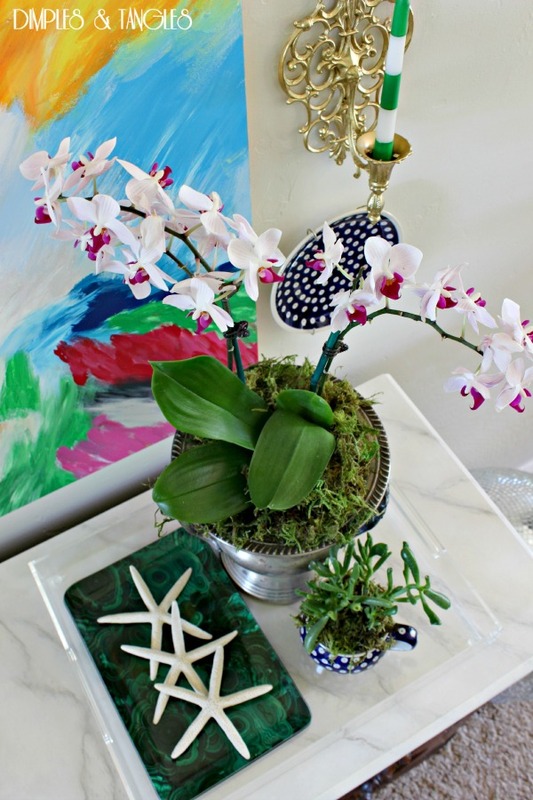 Love all the color and pretty accessories you use...you layer your vignettes to perfection!! Loved the tour! Your home is so beautiful Jennifer! 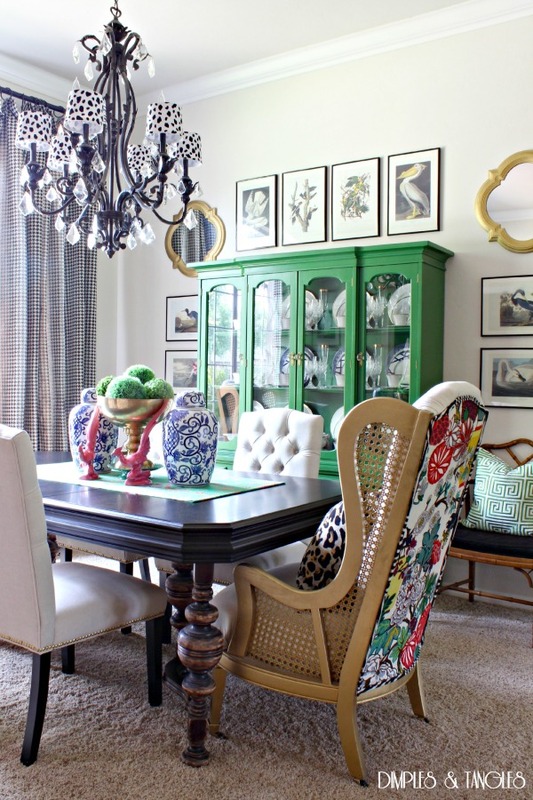 I love all your bold use of color and that settee in your breakfast nook is amazing!! Hi Jennifer! Love your blog and appreciate your talents! 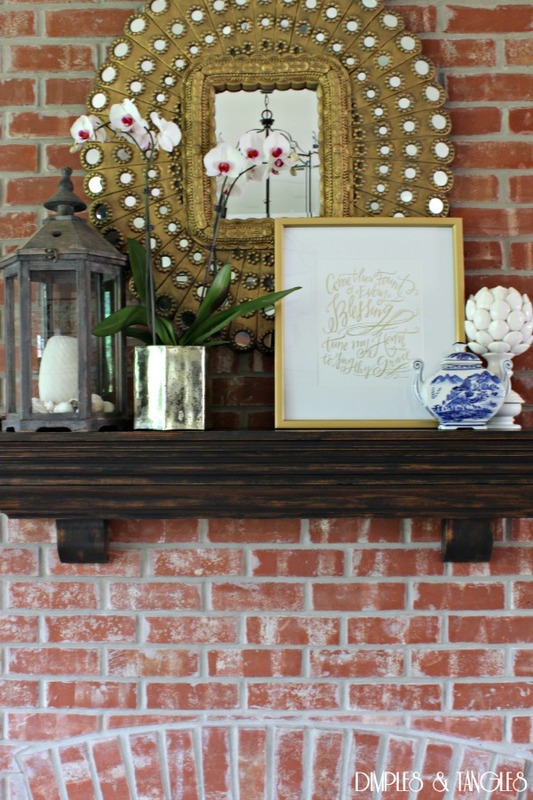 Would love to learn more about the paint color and technique you used to paint the lovely dresser in your foyer! Absolutely love all the colors! Perfect as always! Amazing! Love your sense of style and all the fun COLOR!!!! Thanks for sharing!